Tired of trying to figure out what you’re seeing on the map? 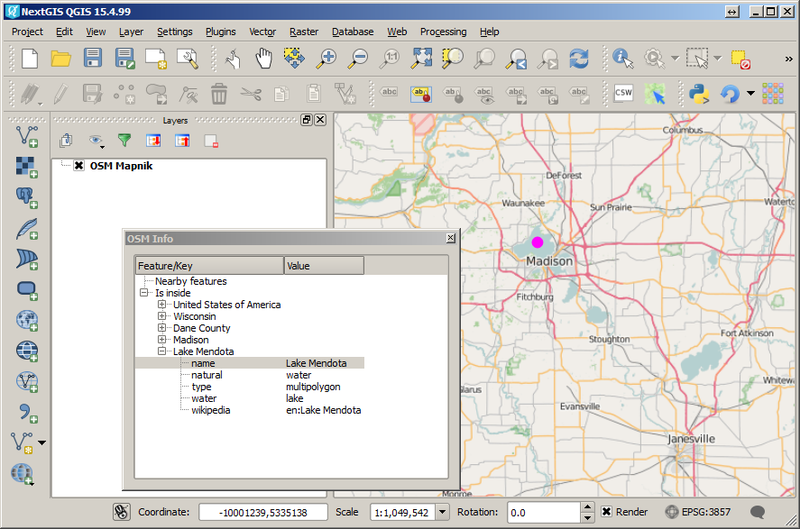 Ever wondered what are the actual data for a feature on [OSM Mapnik|MapQuest|your favorite OSM basemap]? OSMInfo is the answer. Thanks to OpenStreetMap and beautiful Overpass API you now can get all information for a particular point with our brand-new QGIS plugin. OSMInfo shows information about objects from OpenStreetMap using Overpass API. You don’t have to guess what country it is anymore, you don’t have to go to original data to get house number which renderer decided not to show, you can get a name of the lake from a satellite image in 5 sec. 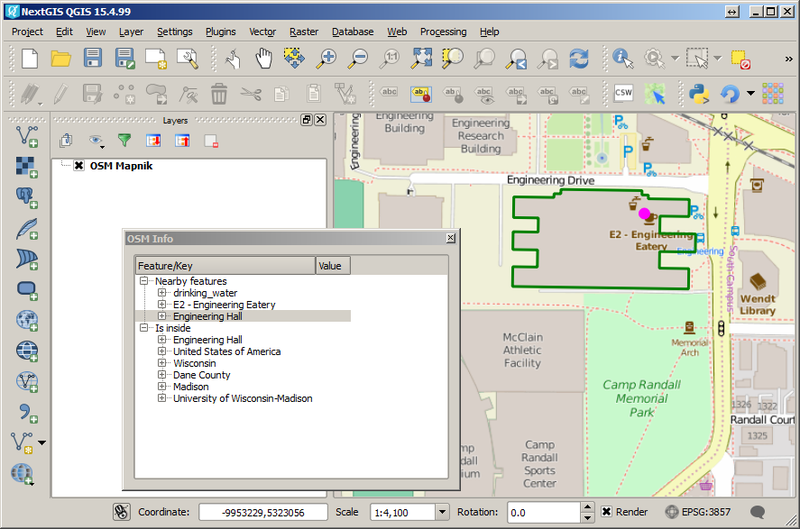 Resulting data is grouped in two parts: nearby objects and objects that are around your click coordinates. Impossible to install on 2.12.0 on Mac. This plugin is broken. No module named requests. Any idea on how to repair? Thanks! Please update, new version no longer depends on requests. Should work fine.